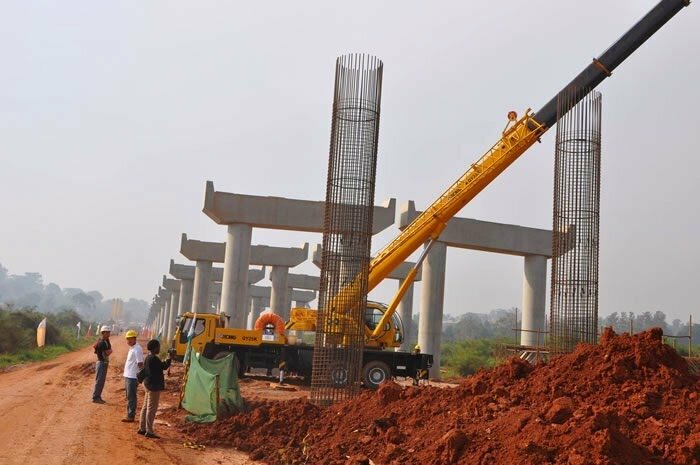 The much talked about Second Niger Bridge is almost half completed, Federal Controller of Works in Anambra State Innocent Alumonah has said. The bridge links the West and East stretching from Asaba in Delta State to Onitsha in Anambra State. Alumonah said the contracting firm, Julius Berger Nig. Plc, had accomplished about 85 piles of 914 millimeter in diameter in different axis. “The contract was split into phases. Phases 1 to phase 3 have been successfully accomplished and we are now on early works in phase 4. Part of this early works phase 4 forms part of the main contract. “So far, the 1.2-kilometre sand filling of the road at the Asaba end has reached the height of 2.2 meters out of the expected five meters. “At the Onitsha end, we have done a lot of sand filling of embankments to a reasonable stage. We have done a lot of culverts as well. “In all, we have achieved around 44.6 per cent of phase of early work stage 4,” Alumonah said. He said the contract for the early work stage four was awarded in October 2016 and work commenced in November 2017. According to him, an advance payment of N2.166 billion was made to the contractor out of the contract sum of N14.466 billion for the early work phase four. Alumonah said the early work stage four project had a life span of nine months starting from November 2017 to July 2018, noting that there would not be any interruption between stage four and the main contract. The Nation reports that he said the Second Niger Bridge was no longer a political issue as President Muhammadu Buhari had demonstrated commitment to realising the completion of the project. “The bridge is a link road to all parts of the country not just the South East. It is not a bridge only for the southern part of the country. It is for all Nigerians,” he said. The controller noted that the continuous maintenance of the existing Niger Bridge built in 1965 was a demonstration of the Federal Government’s commitment. He said the stress on the existing bridge compelled the Federal Government to build a second Niger Bridge. He added that the issue of compensation of the affected people had been handled by the Federal Government to a reasonable level and had paved way for work at kilometres 23 to 31. Alumonah assured Nigerians that the main bridge would not take long to be actualised after the early stage four was completed by July.